Celebrate Your Love. Wear Your Privileged Marriage Status With Pride. Stay Fly. Get Wise. The Wifey University Store delivers our exclusive branded apparel, merchandise, services, solutions and experiences shared and loved by women in the happiest, healthiest and wealthiest marriages worldwide. Our students, alumni and clients celebrate their love, stay fly, get wise and wear their coveted marriage status with pride. Wifey Wear products and merchandise are for intelligent wives, wifeys, girlfriends, lovers, significant others, brides, fiancees, ex-wives and discerning women worldwide who set the tone and trends, aim high and make marriage, commitment and hubby management truly al courant and couture fashionable. Get wise. Our collection of products, services and solutions helps women to make strategic, data driven decisions which optimize their marriages and create lives they absolutely love. Maverick Marriagepreneur, Career Alpha Wife and CEO, Rhonda Coleman Albazie. What does the Wifey University Store offer? Wifey University branded apparel and products, online training courses, webinars, on-demand video, seminars, books, e-books, other media, services, solutions and experiences. Release what no longer serves you including negative or counter-productive thinking, bad habits, limited world view or divorce bound thinking. Wifey Coaching delivers a suite of services and solutions to help wives win the high stakes business of marriage. Wife Wealth delivers comprehensive packages to help women achieve financial freedom and security for life through proven systems that create wealth for life. We offer ala carte Wife Wealth products and services and upgrades to concierge level packages to champion wifey wins in the high stakes business of wealth and marriage. Get wise. Via the Wife Wealth portfolio and our coveted network of HNW/UHNW Wifeys and aspiring wealthy Wifeys worldwide, women at all financial stages of life will find the enlightenment, support systems, resources, tools, proven systems, blueprints, audience, mindshare, coaching, fast-tracks and financial opportunities to transform their husbands and marriages into appreciating assets to achieve exponential Wife Wealth and create lives that they absolutely love. Get wise. Marriage Metrics Technologies powered by Ai, machine learning and data science to help women and men make strategic data driven decisions to optimize marriages and enhance their emotional IQ, cognitive IQ, relationships, careers, health, wealth, self-expansion and all areas of their lives. 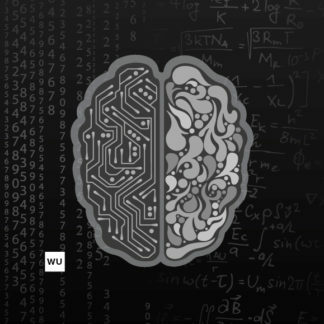 Get Wise with Marriage Metrics by Ai and Machine Learning Developer and Data Scientist, Rhonda Coleman Albaize. 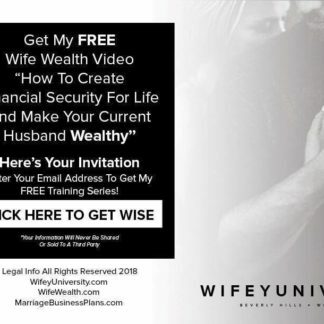 Wifey University is the world leader in executive wife training, sustainable marriage engineering, marriage intelligence and analysis, marriage business plans, marriage metrics, wife wealth, wifey retreats, wifey coaching, divorce proofing protocols, husband hacking, husband care, helping your husband succeed, wifey meets hubby matchmaking and more! Learn more about WifeyUniversity.com here , MarriageIntelligenceMedia.com here and WifeyRetreats.com here. Celebrate Your Love. Promote Your Privileged Marriage Status With Pride. Stay Fly. Get Wise. We love our Wifey customers, champion wifey wins in the high stakes business of marriage and cheerlead for hubbies and the institution of marriage. At Wifey University we advocate for wives getting wise, achieving wife wealth, leveraging marital intelligence and proven systems to create lives you absolutely love. That said, we welcome your feedback and suggestions for process improvement and product development. Use our contact page to get in touch and share your thoughts. Wifey University, Wifey Wear and Wifey Companies 2018. All Rights Reserved.